‘Structured Data’ has been around for a number of years, yet appears to be the buzz word in SEO circles over the past few months as more and more digital marketers are embracing its benefits and investing in its implementation. The roll out of structured data began way back in 1997, it was fragmented and barely used until 2011. But here we are, ten years later and the major search engines Bing, Yahoo, Google and Yandex have joined forces, collaborating to form Schema.org. The primary goal of this organisation is to provide webmasters with a single vocabulary from which to build a succinct structural unity across core web properties. It is a great way for webmasters to create more search-friendly signals, that increase click through rates (CTR), hence improving rankings. By adding Schema to the HTML of your website, you can enhance how your page displays in the SERPs and gain informative and visual results. 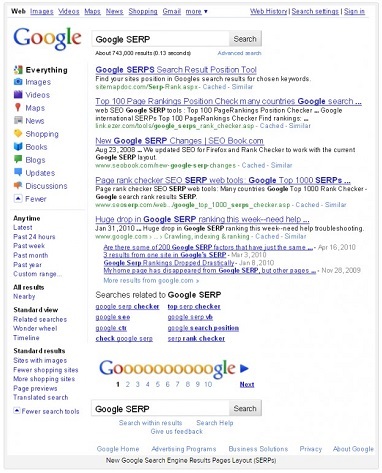 Google’s Rich Snippets were the first to arrive in the SERPs in 2011. 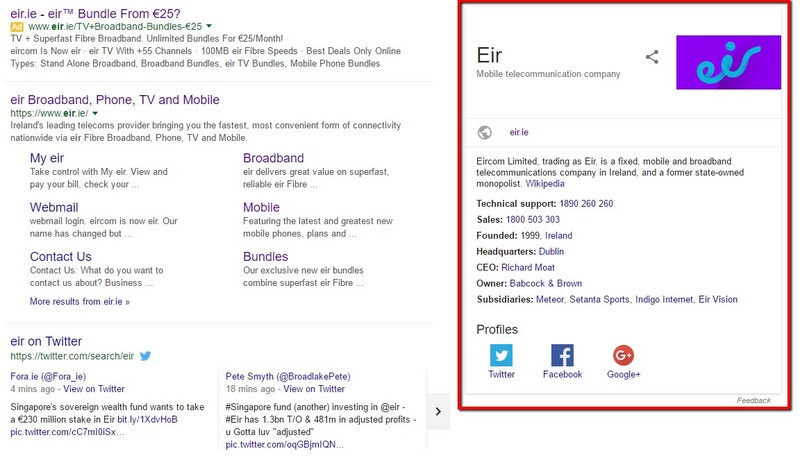 These results are known as ‘Rich’ due to their very nature, providing more information than a standard SERP result. They can include a wide range of added features including lists, images, text and are generally formatted. 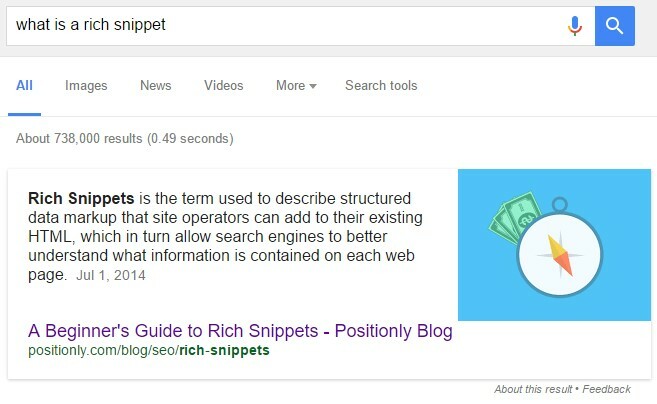 These results are not new in Google’s SERPs, they have been used since 2011, however, they have evolved and websites are now given more opportunities to control how these rich snippets appear. When SEO webmasters include specific mark-up code to their webpages, it helps the search engines understand how the content is organised on the page and therefore can influence how this information is relayed within the SERPs. From here, annotations using Schema.org began being used as a data source for the Knowledge Panel, incorporating elements such as contact information, company logo and social media profiles. What is the Knowledge Panel? The Knowledge Graph is a collection of ‘knowledge’ that has been built up over time that Google uses to enhance its search results. It was originally added to the SERPs in 2012 and uses sources such as Wikipedia, Wikidata, the CIA World Factbook and structured mark-up added to websites. The positive result of all this information combined can lead to businesses getting the Knowledge Panel appearing for brand searches on the ‘Right Rail’ of the SERPs where PPC ads used to reside. What coding is required for Structured Data? Fear not, it is not as scary as you think. The fruits far outweigh the labour. 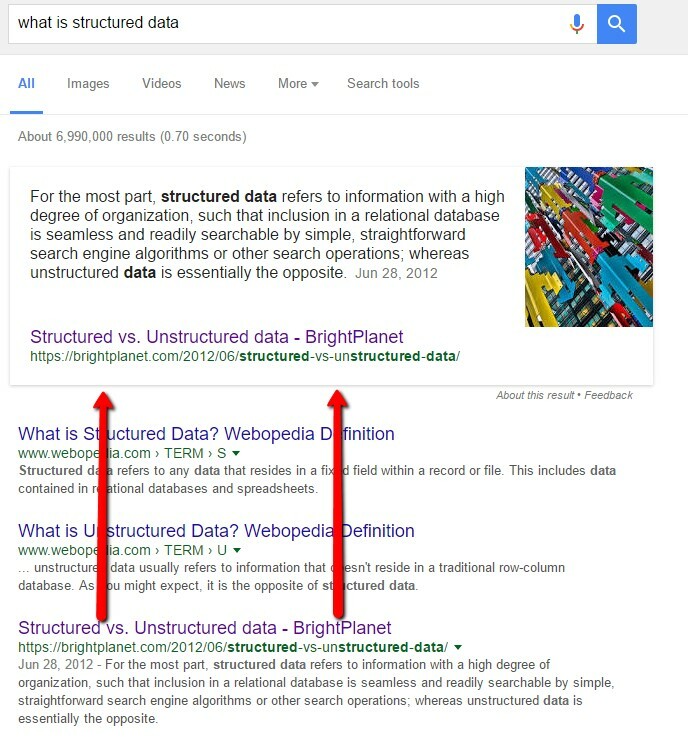 Why is Structured Data so important? Structured Data is extremely important as it lets the search engine bots know what your website is about. More importantly, it enhances the SERP results using rich snippets; therefore, giving your potential customers a clearer idea as to what your site is about and how the search engines value it. There are a wide range of benefits to implementing structured data across your website. 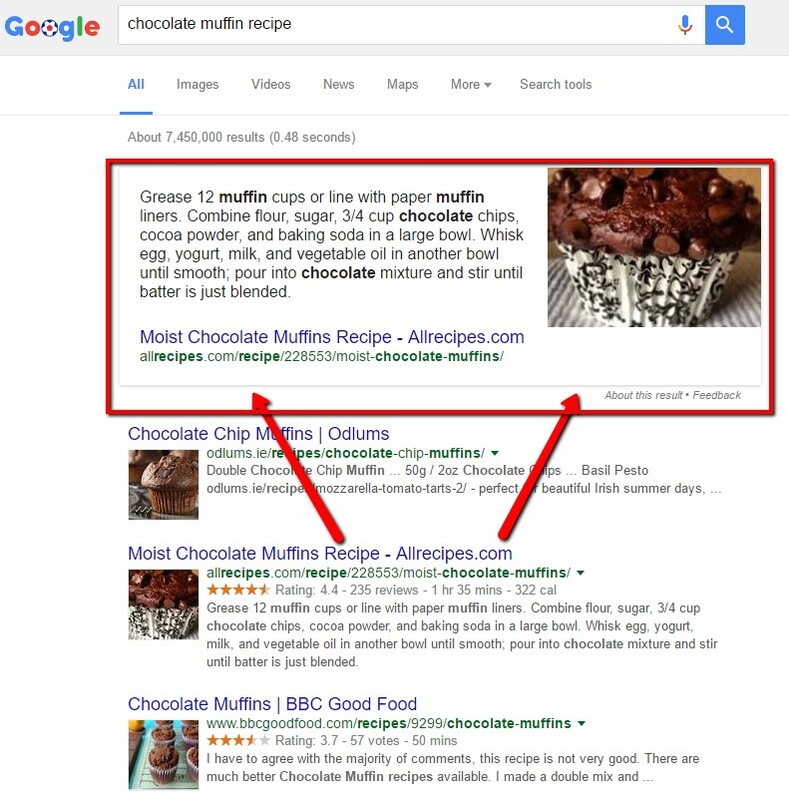 If you are a regular visitor to Google’s SERPs, you may have noticed how visual they are becoming. Long gone are the text and link-heavy pages of the past; welcome the new and improved visual and creative Google SERPs. As you can see from the images above, Google has been working hard to fine-tune its result pages. They are a little less hectic and a lot more visual, most of the visual elements you now see are the direct result of webmasters implementing structured data across their sites. Therefore, it’s plain to see that there are no tangible benefits to websites that fail to get on board the Structured Data gravy train and mucho benefit to those that do. By giving the search engines more data about your brand and highlighting certain elements of code within your HTML, Google and the other search engines can take this information and add it to their Knowledge Panel. It’s important to understand that having a correctly-formulated Wikipedia page is a significant element of this. Creating a Wikipedia page for a business can be challenging as it must not appear self-promotional; getting a Wikipedia page approved if you’re a newly-formed or sparsely-publicised business is almost a skill in its own right. Imagine the SERP results as a city, hone in on page 1 and you are in the posh part of town, now zoom in on the ‘above the fold results’. This is it, the most exclusive real estate you can get on the web. (Google dominate internet searches with over 95% of the market share). This prime real estate is usually reserved for those who pay (AdWords) and those with excellent SEO (positions 1-3). So, by optimising your website and implementing all the relevant Structured Data, you now have an opportunity to jump right into ‘Position Zero’, above position 1. Not only can this happen, but you may also be rewarded with a nice image alongside your listing to boot. 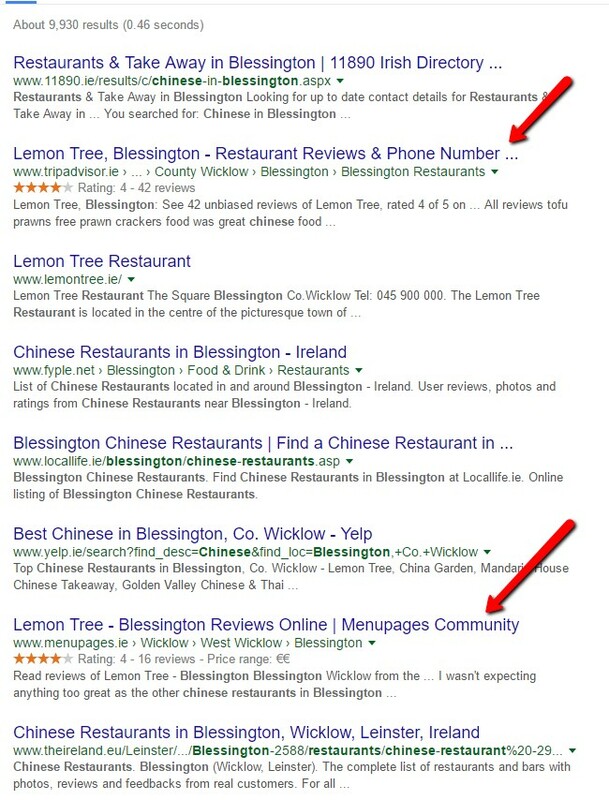 Results with ‘Reviews and Ratings’ implemented immediately jump out at searchers and optimise the visibility of the results. In an age where referral and reviews carry major clout, these results are tapping into the psychology that this carries. I personally would be more enticed to click on results with star ratings and reviews if I was choosing a restaurant for a night out, wouldn’t you? This is fine to assume that searchers will click on a result with Structured Data implemented, but where’s the hard evidence that this is actually the case? In a recent study by Blue Nile, there was clear proof that SERP results with Structured Data have a higher CTR. 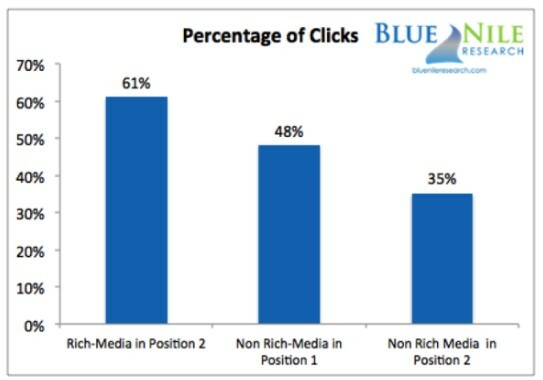 The following graph shows a 27% lift in clicks on results in ‘position 2’ that had Structured Data implemented above results in ‘position 1’ with no structured data implemented. So, if you are looking for that improved CTR (which is a Google ranking factor) then it’s a no-brainer, get on the Structured Data gravy train. To see more amazing results, check this out. An iconic SEO expert, Dr. Pete from Moz coined the wonderful phrase ‘Position Zero’. It occurs when you implement data on your site and are rewarded by Google with a ‘rich snippet’; literally frog-hopping your competitors ranking in position 1. 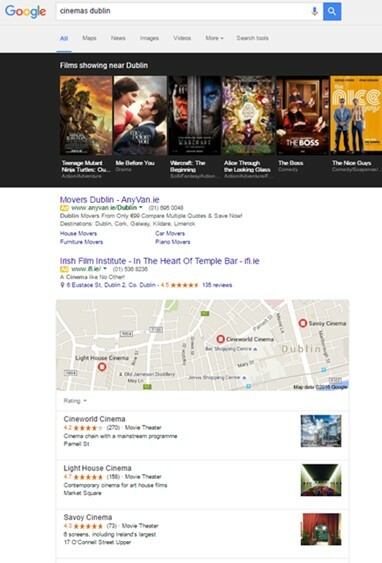 For a practical example of this frog-hopping effect in action, simply Google ‘What is Structured Data’ and you’ll see that Bright Planet who are currently ranked in position 3 organically, manage to overtake their competitors and leap into ‘Position Zero’, effectively doubling their ‘above the fold’ presence. As you can imagine, this positively impacts on their CTR for this page. How can I implement Structured Data on my website? There are a number of options when it comes to the implementation of Structured Data on websites. 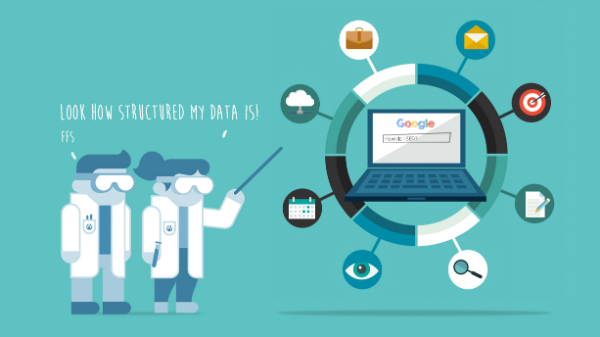 What is the future of Structured Data? From our extensive research and SEO observations of the sheer amount of effort the major search engines including Google, Bing and Yahoo are placing on Structured Data. We reckon that it’s only a matter of time that it is included as a ranking factor in their ever-evolving ranking algorithm. Previous ranking factors that Google promoted heavily prior to inclusion in the algorithm included ‘Mobile Friendly’ and ‘Secure Site’ using HTTPS and webmasters who’ve towed the line have reaped the rewards. 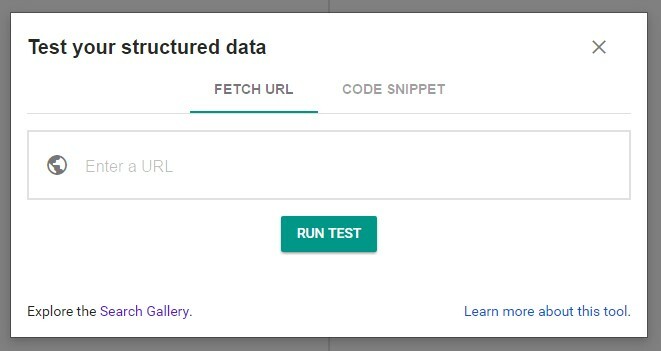 Google have developed their very own ‘Google Structured Data Testing Tool’ and even added three modules to their ‘Search Console’; Structured Data, Rich Cards and Data Highlighter, all to help webmasters implement Schema on their websites. The time is now, capitalise on first-mover advantage and get in before it becomes officially recognised as a ranking factor and implement Structured Data across your web pages; stay ahead of your competition and let the search engine powerhouses look more favourably upon your website; it’s a no-brainer. 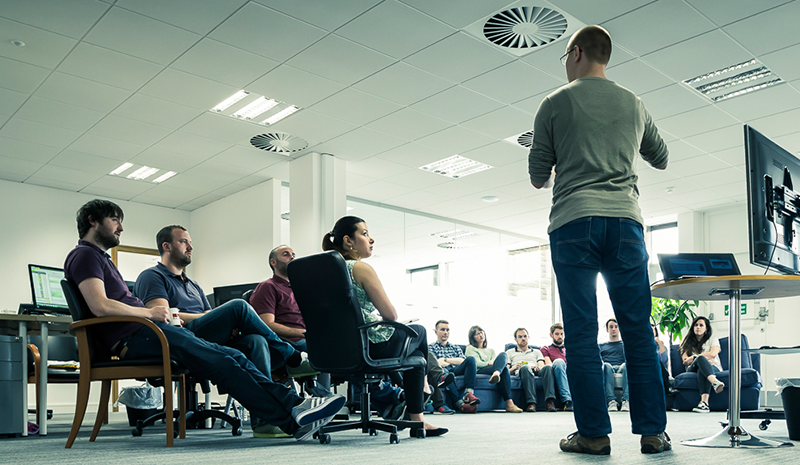 For more expert advice on Structured Data implementation contact the Wolfgang SEO team today.